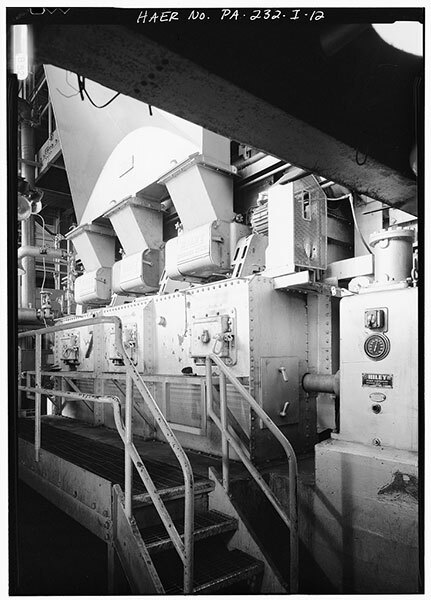 With more than a century of experience, Riley Power Inc. is a highly respected manufacturer of steam generating and fuel burning equipment for all types of fossil and waste fuel fired boilers, including those that fire coal, oil, gas, as well as waste fuels including refuse, wood and cellulose byproducts. We offer a complete line of fuel firing equipment, including our patented low NOx dual air zone CCV® coal-fired wall burner line, STS® gas/oil low NOx burner designs, and a wide variety of stokers and pulverizers. We also have a full line of selective catalytic reduction (SCR) systems for liquid, gaseous and solid fuels, as well as coal-fired aqueous, anhydrous, and urea-based ammonia systems. In addition, Riley can also supply high quality boiler replacement parts and perform expert reconditioning, core to pulverizer rebuilds or upgrades on any boiler or similar equipment, regardless of original manufacturer, returning it to original OEM specifications for optimum performance and longevity. All work is performed at our Tyler, Texas and Duncan, South Carolina facilities. With our decades of experience, state-of- the art equipment, dual facility structure, and ready access to quality coal, oil, and other fuel fired boiler parts right in-house, we are able to deliver superior service, with fast turnaround at an outstanding price point. Riley Power also provides expert commissioning and field service troubleshooting and related services related to all the equipment in our portfolio, regardless of manufacturer. We perform customized Engineering Evaluation Studies, Remaining Life Analysis, Condition Assessments, Non Destructive Testing, High Energy or Covered Piping Systems Studies, Coal to Gas Conversion Studies, Burner Inspections using drones and borescopes, and more, all performed by highly experienced personnel. We also do P91 Evaluation and Testing, and have a metallurgical laboratory right on site at our Marlborough, Massachusetts headquarters. We can also provide comprehensive expert training for your new hires or provide refresher courses on a wide variety of fuel equipment topics, and can readily work with you to customize programs to meet site needs. Riley Power’s Service Centers offer the experience and expertise to rebuild and repair your power plant equipment. We are a leading supplier of quality parts and services and offer 100 plus years of rebuild experience. We offer the superior wear resistance of our DURATECH Tungsten Carbide Weld Overlay. It extends the life of grinding rolls with a 99.7% success rate against spalling. Our warranty guarantees double the life over regular high chrome overlay! Riley Power provides exceptional value and service to our customers. Riley Power Inc. is part of Babcock Power Inc., an international company with multiple specialized business units all working independently and together as needed to best meet customer needs. For example, we might tap into the extensive parts inventory and boiler tube fabrication expertise of sister company Boiler Tube of America for a particular job, to deliver even better service for our customer.